Rings at Stone Mountain Arts Center - The Stone Mountain Arts Center is a wedding photographers dream location. The little details and ferry lights everywhere make creative shots like this one possible. These rings were placed on the shinny top of the grand piano in the main barn. The ferry lights in the wall accentuated the shot and brought interest into the background. As a Maine wedding photographer I aim to bring this kind of quality into my work and as a end product into the albums I create. 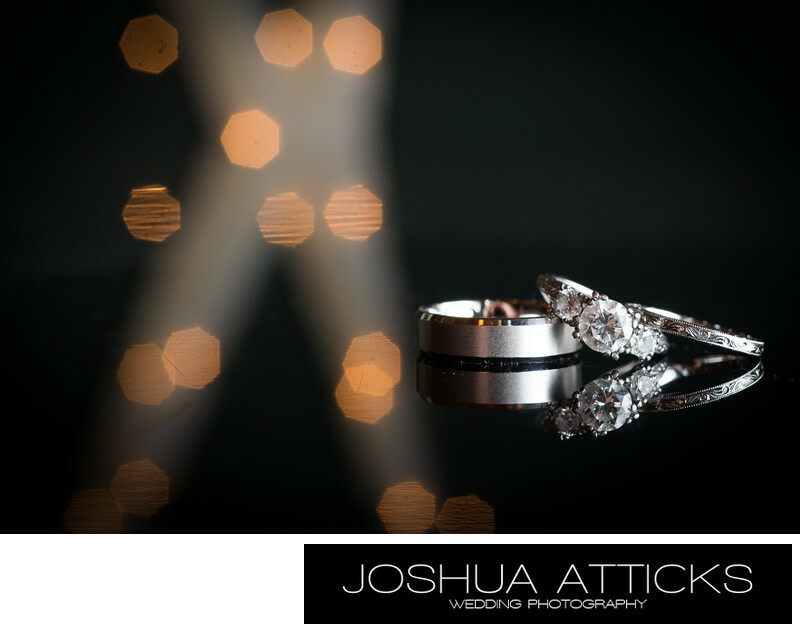 Excellent wedding photography is all about capturing things and making something great into something even greater. Working will light and seeing beyond the normal. Location: Stone Mountain Arts Center, Brownfield, Maine.